I did it!! I did it!! I have to start by saying that I am not really a big fan of the month of March!! There are a few major reasons that I don’t like it, one small reason being the start of a very long four months of being a single mom as Jim starts his season, but this year I have a little more reason to like it. Something good finally happened this month!! 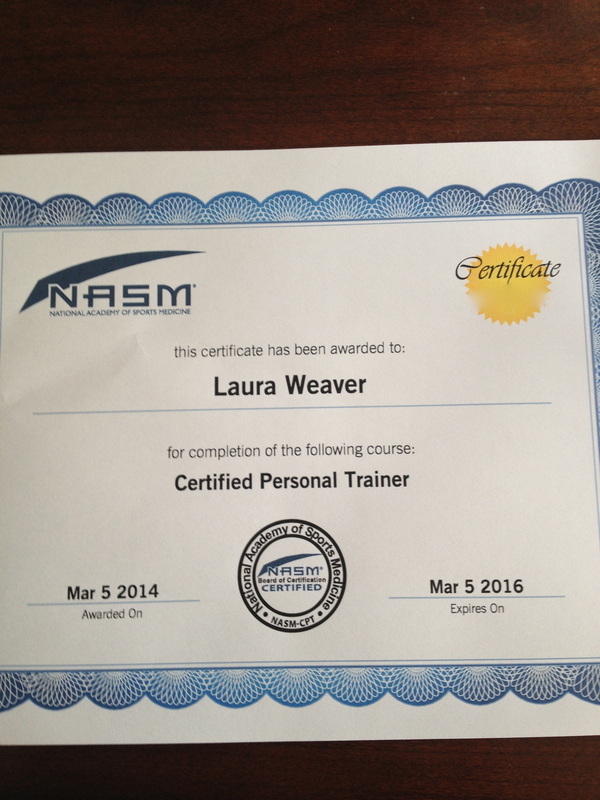 I passed my test to be a certified personal trainer! It took me six months of studying, 182 days to be exact! My goal was to study and take the test by Jim’s first day of softball and I missed it by 2 days. Oh well, I PASSED and that’s all that matters. I am not sure what I am going to do to fill all my “studying time” now, but I am sure I will find something! Where do I go now with the certificate you ask? Absolutely nowhere!! Unless, you know of anyone that wants me to come to their house for some personal training-that I would LOVE to do!! Okay, enough about that!! I LIED…..I said that we were going to have stations tomorrow, but I am changing it up…for selfish reasons! I forgot that a few of us have the Cary Half Marathon on Sunday, March 16th (I am still praying to get sick or hurt so I don’t have to do it), so I have to switch somethings up-I’m trying to save our legs a little. We are going to do the stations on Friday, March 14th. Diet Bet People….6 more workouts before you have to weigh in! If you don’t plan on being at class on Friday, March 21st I will take your weight on Wednesday, but no sooner. The next session will start Monday, March 31st. ← $400 Pot….3 more weeks….a rough go….